Cape Town - Tottenham manager Mauricio Pochettino insists that he has not had his eye caught by rumours linking him with Real Madrid. Spurs beat Madrid 3-1 in the Champions League on Wednesday, which did little to dampen reports that he is being considered as a successor to Zinedine Zidane, should results continue to go against the Galacticos. 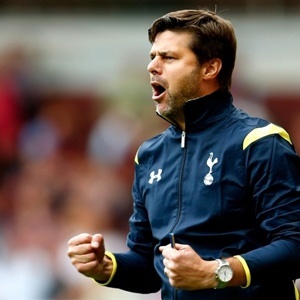 "The most important club in the world is Tottenham," Pochettino said. "And it is the best club in the world. I need to feel like this and that emotion is real because I cannot be fake. "It's too difficult to create the trust if you don't really believe and it's not real, that emotion. Today, Tottenham is in my head 100 percent. Today, I do not change Tottenham for another position in the world because I am so involved, so focused. "The club deserves to have people that think only about the club, the fans, the players and the structures – and they provide us with an unbelievable life. It's important to recognise that. "It's an amazing club and it's so important for us to pay back the club for the way that they treat us. "It's not about win or lose, it's about trust, and when you achieve that in a club like Tottenham, with massive potential, you must create something together to try to be strong and win." Spurs will face Crystal Palace at Wembley Stadium in Sunday’s early match.